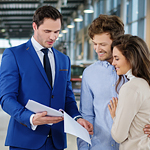 Used cars make the perfect compromise for some drivers, offering a higher quality car at a more affordable price than they might be able to manage otherwise. The downside comes in not knowing the vehicle's maintenance record, which might reveal concerning gaps in its care. For cars purchased after 2015, the rearview camera became a necessity. Many auto manufacturers started to include this sensor camera standard due to changes in the law that would require it by 2018. As such, there are many car manufacturers that have added on to their vehicle's safety ratings just by including these cameras. What Determines the Type of Interconnecting Wiring Needed Between the Camper and the Vehicle? 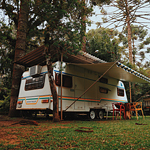 Whether you are towing a camper trailer through Johnston or out along the highways, the wiring between your vehicle and your trailer is of the utmost importance. The wiring carries two functions—safety and power to accessories. Perhaps every driver has experienced the aggravation of having bright lights shining into their rearview mirror. Whether it's from inconsiderate drivers or overly tall vehicles, it can not only inspire irritation but can even be dangerous if it causes the driver to develop a temporary blind spot. You spend a lot of time and money ensuring that your vehicle is running at tip-top shape, and it's a shame when rodents make their new nests under the roof of your car. A single mouse or rat can cause thousands of dollars’ worth of damage, and they can even make your car unsafe to drive. Here are a couple of ways to deter rats. You have just purchased or leased your new vehicle and thinking about getting a car cover. That's an excellent idea! We here at Acura of Johnston want to ensure that you know the best ways to keep your vehicle protected from the elements and unwanted intrusions. What is an automotive recall? When you’re a driver, it’s important to stay on top of auto recalls. At Acura of Johnston, we’ll keep you in the loop with all of the latest recalls. A recall will come from the auto manufacturer or the NHTSA if there is a safety issue with a particular model or models. The recall will identify the make, model, and model year that is affected. In some instances, it is limited to a certain number of VINs. They will identify what the safety issue is and what’s going on. Why Opt for a Crossover? The term crossover was once applied to compact SUVs, minivans, station wagons and similar vehicles. Today, the term is usually associated with a compact SUV. There are many reasons why some people prefer this type of vehicle. The mechanical and electrical technology found on today's crossovers ensure that occupants enjoy a more comfortable ride and a vehicle that is easier to maneuver. The aesthetic style is such that the vehicles provide all of the comforts of a traditional car. However, they have more interior space and are higher off of the ground, which enhances road visibility. When it comes to your vehicle, you want to protect the investment that you've made. Working with a trustworthy mechanic can help in many ways. Through this partnership, you can effectively address any issues that might arise, you can usually get more for your buck, and you can have peace of mind knowing that a qualified professional is looking out for you. If you find any of these warning signs for tire issues, get a skilled tire technician to inspect them for serious issues. When you see low tire tread, this could be a serious issue that needs to be addressed today. Low tread means you can't stop in time or get the appropriate tire grip on wet roads. The concern with cracked tires is that they could be an instant away from a blowout. If you inspect the tires a few seconds each day before driving you could identify this concern easily.